We provide proven solutions to deliver effective and cost efficient compliance and data security. Our assessors go through a careful screening of their credentials and experience in the industry auditing information security and entertainment assets. There is also a technical test and vetting process. 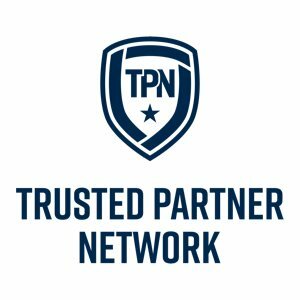 The TPN assesses against a set of controls specific to your business operations and are directly based on the industry-recognised MPAA content security best practices. Currently, the TPN is available to provide security assessments of most production, post-production, and distribution operations throughout the entertainment supply chain. Our comprehensive and focused technical security assessments pinpoint any areas within your business that pose security risks. These comprehensive assessments provide you with an essential roadmap of your business’ existing security protocols and security gaps that need to be addressed to safeguard your assets and systems. We provide advice and consultancy on a range of aspects from network design to system lockdown and hardening. We help you to become more secure without losing your flexibility. Some of our customers have rolling contracts where we can provide assistance on an ad-hoc basis, or you can instruct us on a project by project basis. Through a targeted attack simulation, our team is able to take your business safely through real-world attack scenarios, allowing you to find and fix vulnerabilities before attackers can exploit them. All of our penetration testing is performed using an established, standard methodology allowing our clients to demonstrate controlled improvement between test cycles. Our secure workflow strategy and development solutions evaluate several key factors of your business’ programme, including IT and information security governance, risk management, vendor management and cloud governance. The end result is the delivery of a strategy your organisation can execute on immediately. We also offer a full suite of training to support. Our team of incident responders, malware researchers and cyber intelligence professionals are able to provide both pre and post incident response services to help you proactively respond to incidents. We work with companies to form response teams and establish a containment and eradication strategy, incorporating both short and long term measures.